The new Honda 500 Series packs a serious punch. With full 35 kW power and 43 Nm of torque, you can freely rev through the gears and experience maximum performance all on a learners license. Whether you want to explore the backroads on the CB500XA, take a spin around the track on the CBR500R or commute daily to work on the CB500FA, the 2016 500 series has a bike for you. Now available in a whole range of colours and aggressive new styling we have a motorcycle to match your unique style. It’s responsive. It’s aggressive. It’s fun. It’s pure unrestricted riding, the way it should be. The 2016 CBR500R emerges ready for action with comprehensive upgrades, sporting a distinct, aggressive new look, and armed with revisions that include LED lighting, larger fuel tank, adjustable front forks – plus a satisfying howl from its redesigned mass-centralised exhaust. A larger fuel tank extends range, and detail improvements – hinged fuel cap, adjustable-reach brake lever, redesigned seat and ‘wave’ style ignition key – elevate the overall owning experience. 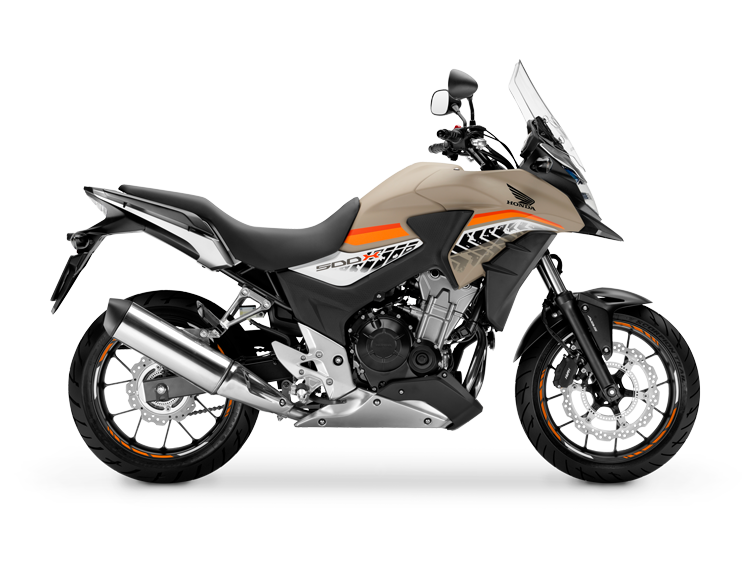 With its all-round punchy performance, adventure styling, affordable price point and low running costs the twin-cylinder CB500X is a great place from which to begin a lifelong motorcycling journey. Its upright, roomy riding position, substantial tank range and long-travel suspension inject a genuine sense of adventure into every ride, and make it serve equally well through the weekly commute as on the weekend escape. The 35kW learner licence-friendly CB500F street bike gets a hard-edged makeover for 2016 with a more stripped down, muscular look; other upgrades include a larger fuel tank, LED lighting, spring preload adjustable front forks, new lightweight exhaust and adjustable brake lever. Several vibrant paint options complement the aggressive new angles. While its 471cc DOHC engine - producing 35kW and returning 29.4km/litre - and steel diamond-tube frame remain unchanged, the CB500F emerges for 2016 with new aggressively-sculpted lines front to back. 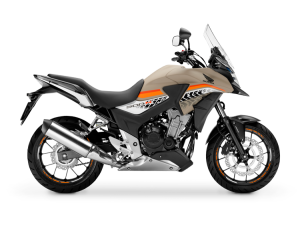 Interested in trying out one of the new 2016 CB500 series? Simply fill out the form below and one of our dealer representatives will be in touch shortly. Register today to be among the first in NZ to test ride the all new 2016 CB500 Series.